via Well hello there Monday! This was such a great weekend and just like the title of this post suggests - we did a little bit of this and a little bit of that!! After work on Friday we were lucky enough to attend a different kind of scotch tasting at the Omni Parker House. 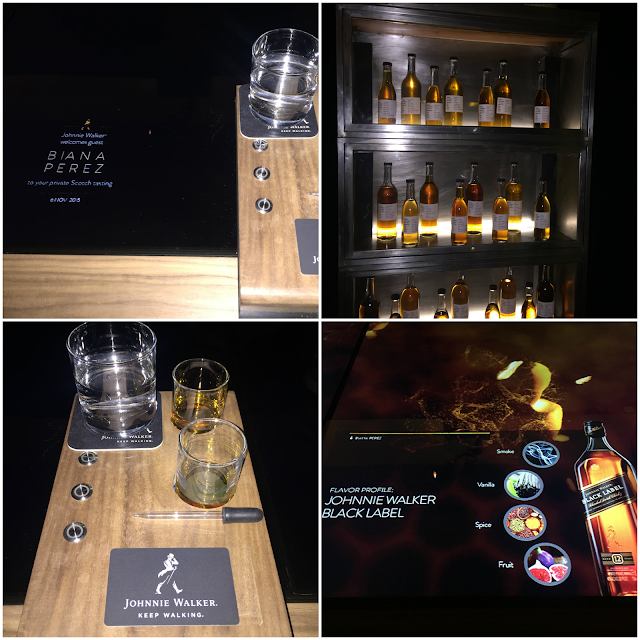 Johnnie Walker was offering an experience more than just a tasting - before the event I was not a fan of scotch, but after I am definitely a convert!! We were brought into a room and set up at a station - each armed with a black card that housed our name and some other information - it was all very interactive and the presentation was incredible!! After the tasting you were given the opportunity to go to the bar and have another drink on the house - my new drink of choice is the blood & sand! It's so tasty, you'll just have to try it for yourself! 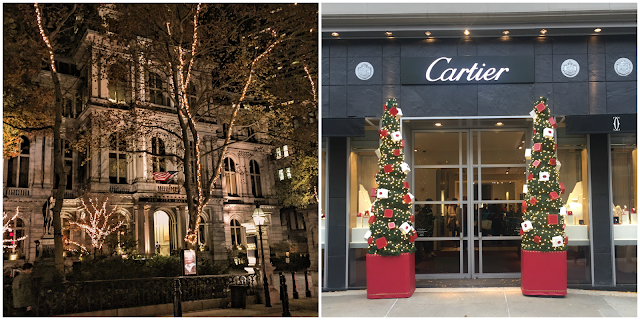 The city is getting into the holiday spirit - maybe a bit early for some, but it's always fun to see twinkle lights! It's also been unusually warm here for November, but literally not one person is complaining! After the Gator's barely squeezed out a win I wanted to see the holiday selection at Target. Earlier in the day I was reading about a House Tour on the Everygirl and spotted this wine rack - well leave it to Target to have this exact one!! Had to pick it up!! Still trying to put everything in it's place on our bar cart - it changes daily, but here's my inspiration! We made a huge dent in our holiday shopping this weekend - although I had one weird experience at Zara. I was going to pick up a bucket bag - that had a price and it wasn't the only one in the store either...went to pay and the guy said they couldn't sell it because it wasn't in their system! Has that ever happened to anyone?! I also stopped into Banana Republic and couldn't get over the pretty colors they are playing with this season! Pinks, Greens & Yellows as far as the eye can see! Obsessed with this silk blouse & of course pink purse!! We ended the weekend as promised with me trying the recipe I mentioned on Friday! I will be the first to admit I'm scared to try new foods, but oh my gosh this Indian dish was delicious! You must try it! Exactly how I plan on handling my Monday!! Hope you all have a great start to your week - link up below to share it with us! Okay, I am loving that pink bag and no, that has never happened to me. That's crazy!! That quote is perfect for today. Go get 'em! :)) Happy Monday to you! I'm handling today that way too! Love it!! Hodgepodge weekends are the best and what a good feeling to get some gifts crossed off the list!! Your recipe turned out divine, yes, scary but often worth it to try new recipes!! Great pictures as always and may your Monday be off to a marvelous start!!! Your bar cart inspiration photo is so pretty! Looks like you're well on your way to recreating it all! What a fun event! I'm not a big scotch fan, but the presentation looks great! I need some bar inspiration right now, mine is looking my a bit sad, I'll have to check out Target. And I will be dealing with Monday the same way. Topknot already done! I'm not a scotch fan but looks like such a fun event! Love the bar cart and the inspiration, now I want one too haha. Love the last quote, have a great Monday! Looks like we both tried Indian food this weekend! Delish! What a fun event!! I am impressed you've already started holiday shopping--- I gotta jump on that. I hate when I wait until the last minute lol Your dish looks fantastic, too! I think I know someone who would have been all over that tasting! ;-) Love that picture of Boston you took. Fall up there is so gorgeous especially if it's staying warm for you! I've tried my husband's scotch before (he loves Johnny Walker) and I just don't think that I can handle it straight. He always says that it's the kind of stuff that puts some hair on your chest and I totally agree with him! 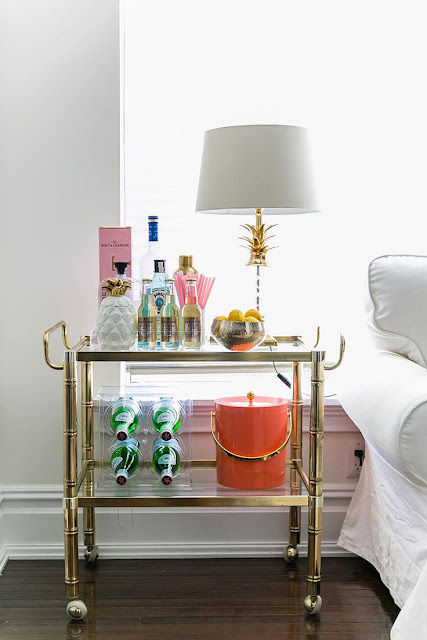 Your bar cart looks so pretty, and leave it to Target to have exactly what you're looking for! YAY so glad your Chicken Tikka Masala turned out great! I have to give that recipe a try! That Target wine cart is seriously the cutest--what an awesome find! It's never too early for Christmas lights! I saw some yesterday around Columbia and got pretty excited about the first lights of the season :) Can't wait for more! Hope you have a great week! that johnnie walker thing looked super fun! I'm not a scotch person either but i always at least try it. super weird that that happened at zara - usually a place will just kinda figure it out and still sell you the item. boo on that! loving all the christmas stuff in town! so pretty! The JW tasting looks like fun! The dress you wore was pretty. I am so excited for all the lights to come out. I almost decorated but I am waiting for next weekend. I now want to try a scotch. That scotch event sounds fun and your city is looking Christmas spectacular. I also like what you wore, cute wrap dress. I am dying over the BR picks. The pink bag and that camo floral blouse need to get in my closet ASAP. What a fun weekend! I really need to try that Masala recipe! LOL I love that quote at the end! I need that in a frame. So I'e never tried scotch but just the smell of it makes me...want to..you know what. I've heard that it's something that you have to get used to. I don't know though...I think I'll forever stick with my usual vodka/sprite hahaha. And that is weird about Zara...they probably shouldn't have put it out on the floor if it wasn't "in the system" lol. But I'm also convinced that no one in retail knows that they're doing..(because I've been there haha.) so who knows. Order it online? That's awesome you knocked out some Christmas shopping...I have no idea what I'm going to do for anyone, but I did get our Christmas cards done already so that's one thing off the list!! The only thing I can think of on the bag, is that the somehow they entered the wrong bar code "in the system" so it wasn't showing up anywhere. A manager should have been able to search a little more in depth on the company intranet, using brand and RN number. I love the bar cart inspiration, but you can keep the Johnnie Walker! :) Happy Monday! I don't think I've ever tried scotch but I'm not sure if I'd like it, I do love a good tasting though! I have serious bar cart envy! Perfect weekend and loving your new wine rack - so pretty! Love the bar cart inspiration! And Boston sure is pretty decorated for Christmas! It is early, but I love it! I heard commercials with Christmas music this morning on my way in to work and it made my heart happy. Glad y'all had a great weekend! Love the Monday quote! And I need that wine rack, so cute!!! Target here I come! So impressed that you started your holiday shopping! I haven't even thought about it yet! Boston is so pretty this time of year. I especially love Newbury Street with all the lights. And when can you ever go wrong at Tarjay? That wine rack is so sleek and chic. I was in there the other day and wanted everything from their holiday shop! I'm not a scotch person, but I still would have enjoyed that tasting. I enjoy learning about how wine, beer, and liquor are made, and the story behind them. I'm glad that you two had fun! Love your Banana picks, that bag is so cute. Love those city holiday pictures too, so pretty!! That's so weird about Zara!! Maybe that guy was new there?? Nice work on that wine rack too, love Target! :-) Happy Monday lady, I hope that you have a an amazing day!! That is too bad about the bucket bag. It has happened at the store. If I can't find a price for an item with no tag, we cannot sell it either. If you happen to break that rule, it is grounds for termination. What I usually do is leave it for the department manager who will then try and figure it out. Believe it or not, it actually happens more than not. Looks like you had a great weekend. OMG, that Zara thing has happened to me too! I was trying to buy a sweater and they couldn't find it in their system, so I went to a different Zara store and they had it in their system. Weird, right? I love Indian food! Looks like yours came out well! I've had items not be in the system but usually they just call someone or look it up online and then sell it to me, so odd! It does look like you guys had fun this weekend though! Loving these Zara items you pickes! Especially that yellowish green top and the pink coat! Wow!! A scotch tasting event? I don't know how you did that, I'm cringing jsut atthe thought haha. Loving this inspo you posted! You go for getting so much holiday shopping done! I'm already feeling behind...Something similar to the bag has happened to me but with paint...I spent like an hour picking out colors and the hardware store and they wouldn't let me buy it when I got to the register! So frustrating! that tasting sounds SO cool and chic! what an experience! i need to check out the holiday stuff at target. that wine holder is perfect!!! very sleek. and it needs to be in my house! That Indian food looks delicious! I haven't put the tiniest dent into Christmas shopping yet but I know I need to start if I want to avoid the chaos of crowds! Banana has been killing it with their new arrivals! I've been in love! And a scotch tasting sounds so fun! :) PS- GO Gators! SEC!! 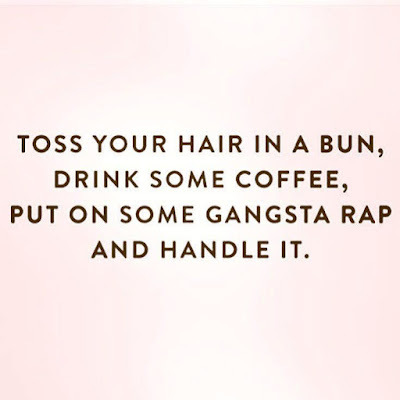 Yes to throwing your hair in a bun and putting on some gangsta rap, the only way to get through Monday! That tasting sounds yummy, and what an adorable bar cart you have!! That indian dish looks yummy, glad you enjoyed it. Get ready to eat yourself crazy when you go to India!! What a perfect weekend!! I love the early decorations! The season is just too short and should be celebrated as long as possible in my opinion! I think twinkle lights go great with Thanksgiving, ha ha! So weird about Zara! I've never heard of that happening! 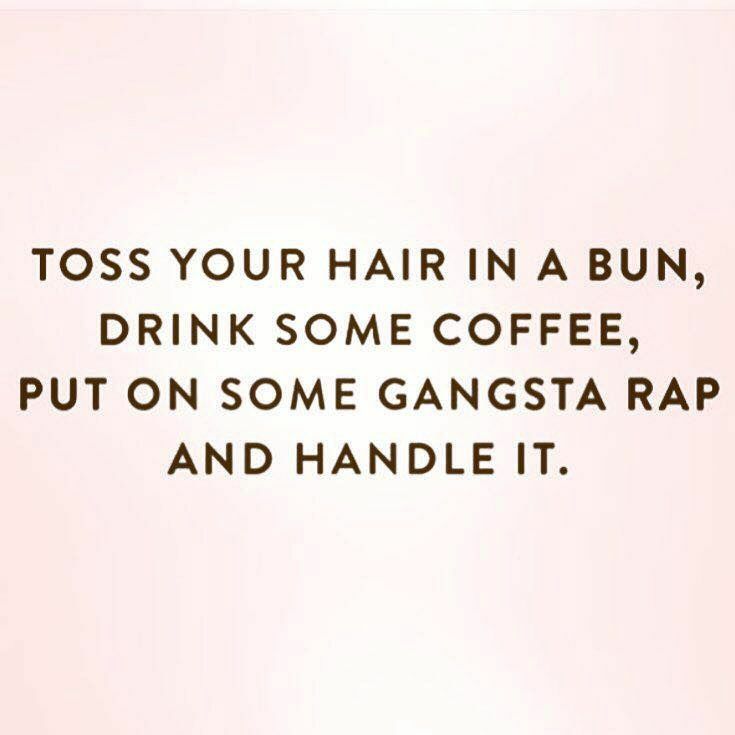 I love the gansta rap quote! Story of my life. I really like the print on your dress too! So pretty! I love the simple wine rack... so easy to go with any decor. OH my gosh, that Monday Coffee graphic is too cute! Looks like a great weekend, and I was totally in the boat of the why do they shove Christmas down our throats, but as the years go by...I'm sort of okay with seeing Christmas stuff just after Halloween :) My husband loves Whiskey, which one would you go with to buy? OH and that pink jacket from Banana...too cute! I need...yep need it! That's an interesting experience you had at Zara. When I used to work in retail, sometimes people would switch tags and try to get a high priced item for a low price and we had to take it to security before we could sell it but I don't know why it wouldn't be in their system at all. Or maybe that's just what they had to tell you so they could do the back of the house stuff. The pics are awesome though. I Love love the Banana republic color palette this season too. That wine rack is the cutest!! My husband just made me a bar cart and I have been having so much fun decorating it! I need to check Target! Happy Monday! Derek’s favorite drink is scotch – he would have been all over that event! I love that Christmas décor is going up already – you can never embrace the season to long. Ahh love all the festive city decorations!! Good work on getting a jump on holiday shopping. I need to get on that! Adding that recipe to our "try" list! Have a good Monday girl! Love the wine rack!! I need to get to Target soon!! Sounds like such a fun weekend, I'm loving that bar cart inspo! I love that wine rack. Need it. Want it. Also, I need to make that Indian recipe - it looks great! I've never tried scotch and I'm not really one to venture out with new drinks, but I will take your word on it being good :) That is weird what happened at Zara...I've never had that happen! And I'm loving those pieces from Banana...that pink coat is gorgeous! Hope you have a great week Biana! Such a fun weekend! I saw the scotch event on Snapchat, my husband would be super jealous! That dinner looks so good, I need to check out your post about it. I was away from a computer all Friday so I missed a lot! I love scotch. I'm a fan of brown liquor so it's right up my ally. Also, that last meme is perfect for today!! Oh, that scotch looks DELISH! Ohhhh that scotch tasting sounds so awesome!!! I used to not like whiskey until I had a whiskey tasting in Gatlinburg a few years ago. Now I dont mind it so much. I dont know that I ever really gave scotch a chance but I could see being converted if I tried it like you did. The drink you got looks tasty. Love love love that wine holder. Target's winter home stuff is so fabulous! I want that pillow, and the furry ottoman, and they had some antlers for the wall and reindeer and oh my poor bank account!!! 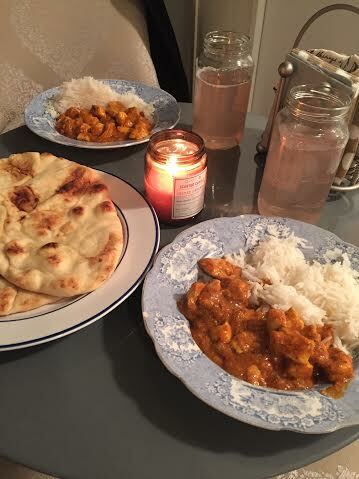 I'm glad that Indian dish was a success! That Blood & Sand drink looks really good. 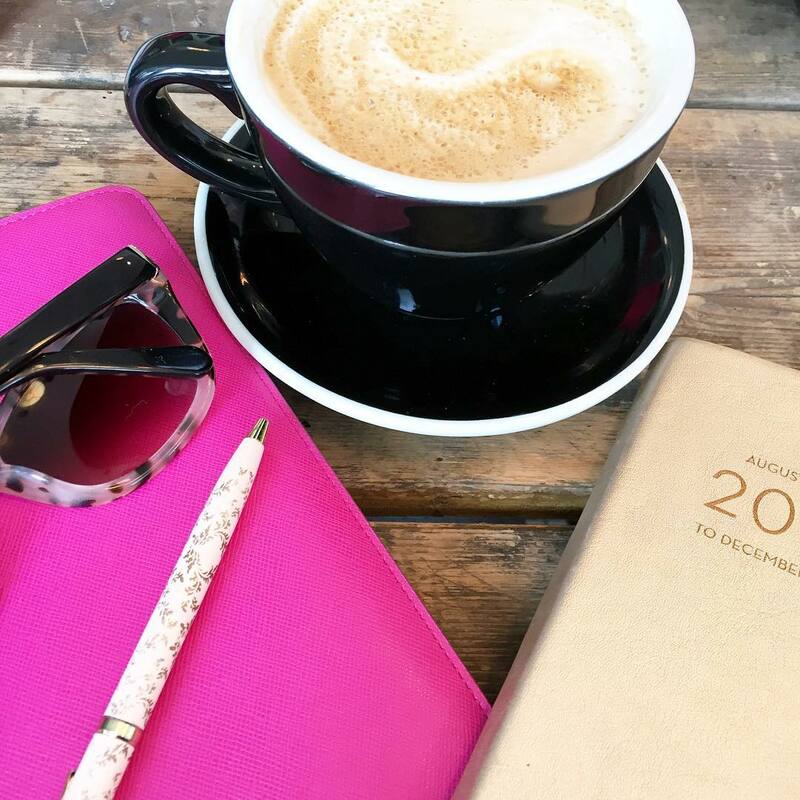 Loved seeing your snaps and Monday coffee? Cheers to that! Bring on the Christmas! I love all the decorations! Never too early! Oooh a scotch tasting event!! Looked like fun!! Look at you getting a head start on your shopping! That is too weird about Zara, I wouldn't even know what to say, lol. I have never been a fan of scotch either, but sounds like a cool little event! I cant wait to see all of the Christmas decorations around Boston this year! looks like an amazing weekend babe!! I love your new wine rack... and I don't even drink wine. LOL Anything acrylic I instantly love, I swear!!! I was just eyeing that wine rack the other day and now I NEED it! How many wine racks is too many for one house? I'm so glad that recipe worked out!! Thank you for being the tester :) Happy Monday lovely! Looks like a great weekend! I would love to do a scotch tasting! Scotch, definitely a drink I would drink. I usually go for scotch/whiskey and coke as my signature drink. Kyle got me onto it when we were dating. Never heard of Blood and Sand though. I love your inspiration pic, hopefully when Kyle and I get a larger house we can have one of those. right now it would look foolish to have a fancy cart with no real bar. That's so weird the bag wasn't in their system! I guess they didn't want to make money! :) Have a great week! So weird with that bag at the store! I love that wine rack. Good to know Pellegrino fits in there! Ohhhh... Scotch is the one liquor I can't stand to either drink OR smell on others! lol! Kirk likes a scotch every now and again and I have to have him drink it away from me... And if I happen to be pregnant while he indulges, he sleeps in a separate bed! But, just like you I enjoy a good Christmas decoration or two, no matter how early it is. In fact, we're doing the bulk of our decorating this week! The quote at the end of your post is exactly how I'm feeling today, ha! I always love seeing how different cities decorate for the holidays, I find it so magical. Hooray for Target decor, that wine rack is fabulous! yayyy so glad the indian food turned out well! i think i might have some tonight. yummm. seriously, what is with the warmer weather? i swear, this time last year i was in full on winter gear. okay today it's a bit cold, but the last week was lovely! 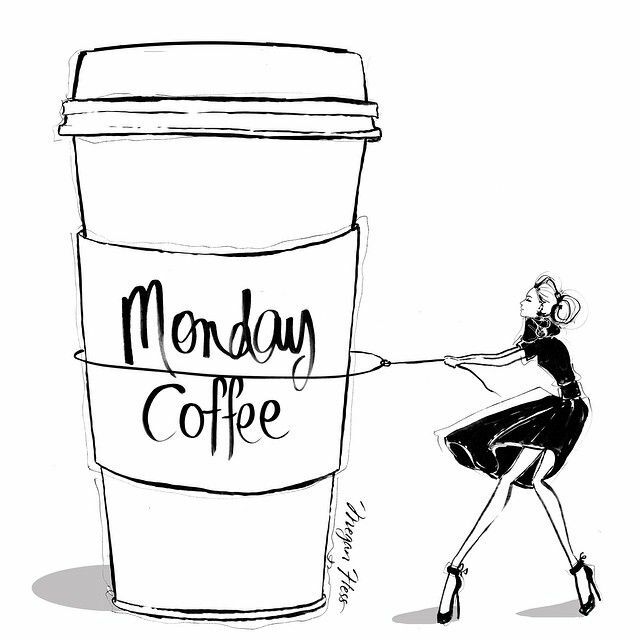 Girl, there is not enough coffee in the world today! Super warm for November here too, but as long as it's not HOT I'm not complaining either :) I do love seeing the twinkling lights though so it's never too early for me. They make the early sunsets worth it! this weekend flew by! yum for that Indian food dish!! Scotch is definitely an acquired taste but Johnny Walker is my favorite. People always look at me strange when I order and scotch and sod water. I would love the tasting event. Your indian curry chicken looks awesome! What a fun event! My hubs likes whiskey, but not a big scotch fan. Although I'm sure he'd enjoy this experience. I haven't shopped at BR in forever! Heading there now after reading this post haah! I love that little wine rack- so cute!! And Zara... how weird! I have never heard of that happening... maybe you can find it online?? You had such a fun weekend! 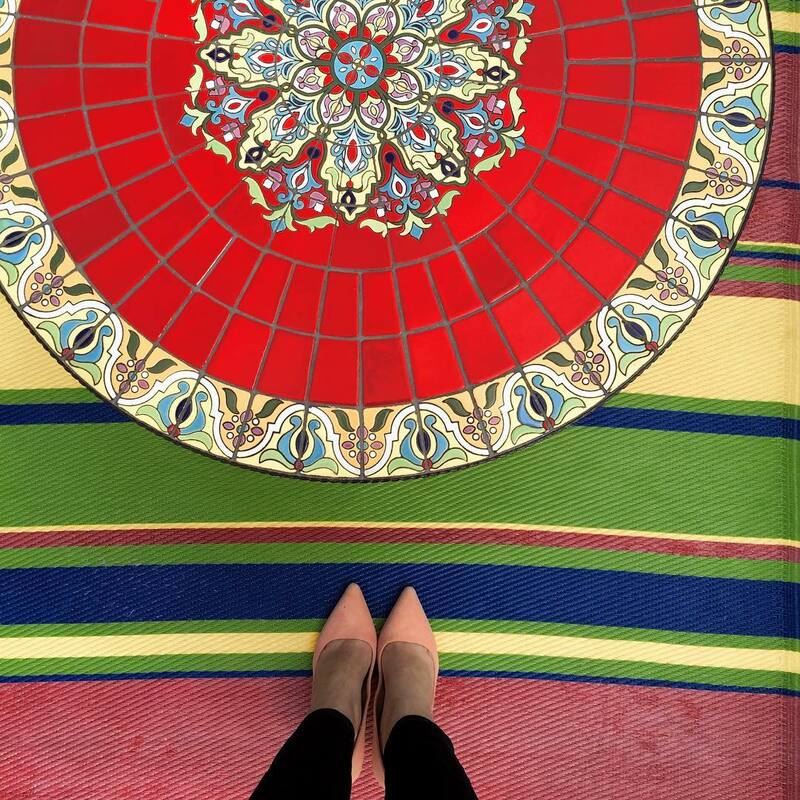 I'm also crazy about Banana Republic's colorful new collection! Love Indian food! Have a great week! Scotch tasting!!! Sounds amazing!! I actually don't think I've ever even tried scotch, but I think I would like it--especially if I got to try it at a fancy tasting! love that bar cart inspiration! need to keep that in mind for future reference! We are having Indian for dinner tomorrow! It's my favourite! So cool that you got to do the scotch tasting! I bet the city is gorgeous all decorated for Christmas! I've never had that happen at a store...very strange! Hope you have a great week! Scotch tasting, OH MY! I've never been a fan of Scotch either, but I guess I need to go to a tasting and try again! And yes I do need to try that dish... I'm glad it was good! You guys do the coolest stuff!! How fun!! So weird about that bag! Can't even believe Christmas will be here before we know it!! Hope you are have a fabulous week! !